Albert Christy was part of a unique military family. His father, Ambrose Christy, served the U.S. Army in World War I in France, where he was a victim of a mustard gas attack. His four brothers all served in the military, too. What makes the family unique, however, is that each of them served in a different branch: Freddy in the Navy, Paul in the Coast Guard, Donald in the Army Air Force, Charlie in the Marine Corps, and Albert in the Army. Perhaps the strength and determination of all of them came from a very hard childhood. Their mother died in childbirth in 1940, leaving Ambrose with eight children. Two of them, Albert and Paul, lived for a couple of years in St. Joseph’s Orphanage in Erie before they started school. Albert dropped out of Mercer High School in his Junior year and joined the Army in 1955. 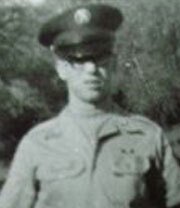 After serving in Korea, he was assigned to Germany from March 1962 to April 1965. In September, 1964, he married Inge Gerlach. Through the Army education program, he achieved his high school diploma. Upon leaving Germany, he was stationed at Fort Ord, California. From there, in spite of his family’s pleas, he volunteered for Vietnam. On February 6, 1966, he was assigned to the 25th Infantry Division in Darloc Province. A little more than a month later, while on a combat mission, Sgt. Albert Christy was killed by a sniper. He left behind his wife, Inge, and their daughter, Diana, and two step-sons from Inge’s previous marriage. He is buried in San Francisco’s Golden Gate National Cemetery. His family was living in Seaside, California, while he was in Vietnam. SSgt. Christy’s decorations include the Combat Infantryman Badge, the Purple Heart, the National Defense Service Medal, the Vietnam Service Medal, the Vietnam Campaign Medal, and the Vietnam Cross of Gallantry with Palm Unit Citation. Allen Neil Palm was a Greenville native, 1968 graduate of Reynolds High School, who ended up tromping through the marshes of the Mekong Delta with the 9th Infantry Division in the Mobile Riverine Force. Friends and family would not have expected many complaints. They were used to his unassuming attitude and willingness to sacrifice for the sake of others. After graduating from high school, Allen attended the New Castle School of Trades and worked as a material cutter in the Westinghouse in Sharon. When he was called into military service in October, 1968, Allen made no big fuss. Details of that service are difficult to find, but as a soldier in the 9th Division, we know that he served in the Mekong Delta. According to accounts by other soldiers, one of the most common tactics was to cruise up and down the countless waterways on the Navy’s modified ships until they were shot at. The ship would return fire, then drop off the infantry to assault and destroy the enemy. Sometimes they would be out for days on end, plenty of time to get their feet very wet. Ninth Division troops would also be inserted into known enemy territory by helicopter and retrieved the same way when their mission was accomplished. 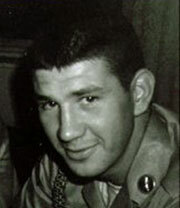 On December 5, 1968, Allen was killed by enemy booby trap while he was on patrol. He was posthumously awarded the Bronze Star and the Purple Heart. The Tet offensive launched by the North Vietnamese army and the Viet Cong late in January, 1968, cost the United States military more casualties than any comparable in the Vietnam war. 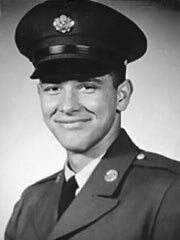 One of those was PFC Anthony DeGerolamo from Wheatland, PA.
Four days later, PFC DeGerolamo reportedly volunteered for a night patrol with Company C. In an ambush, two Company C soldiers, Sgt. Robert Torres of Philadelphia and Cpl Wayne L. Golon of Bergenfield, New Jersey, were killed in action. PFC DeGerolamo was first listed as missing in action, but was later reported as killed. The incident took place two days after PFC DeGerolamo’s 24th birthday. He was drafted while he was near completion of his courses in pre-med at Youngstown State University. He arrived in Vietnam on January 5, 1968, exactly a month before he was killed. Militarily, the word “heroic” describes people who perform well in the face of enemy fire – sometimes for just a single day, or even a single minute. But what about members of the armed forces who perform outstanding service for 20 years without ever being in combat? There should be another word to describe them that would garner as much respect as the word “heroic.” But there isn’t. Consider 21-year navy veteran Bill Brandenstein, who never served in a combat zone. Without service like his, the United States armed forces would never be able to win a battle, much less a war. There wouldn’t be any heroes. 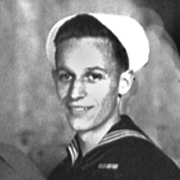 Brandenstein joined the Navy after graduating from high school in 1970. Trained as an electrician in San Diego, he was assigned to Vietnam. But his orders were changed, so he spent the next year and a half in the Philippines preparing, repairing, and servicing ships. In June, 1973, Brandenstein returned to San Diego, then went on a WestPac (western Pacific) cruise on the USS Cleveland. In December, 1974, he left the Navy and spent nine months as a civilian. After rejoining, Brandenstein was trained in fire control – the systems that operate the weapons on board ships. He then went on a WestPac cruise with the USS Prairie, a destroyer tender. Following training at Naval Station Great Lakes on close-in weapons systems, Brandenstein went on another WestPac cruise on the aircraft carrier Coral Sea. He was aboard while it sailed through a hurricane in 1983. Next, Brandenstein was transferred to the training station in San Diego. During 1986 and 1987, he served as a recruiter right here in Sharon, then finished out his career at Naval Station Great Lakes. Brandenstein’s retirement was by no means the end of his service to his country and his fellow veterans. In a sense it was just a beginning. By chance, he happened to be present for the opening ceremonies when the Vietnam Memorial Moving Wall came to Hermitage in 1992. The experience moved Brandenstein to become active in the Mercer County Vietnam Era Veterans Organization, then in the Veteran’s of Foreign Wars. He was commander of the West Middlesex post from 1995 to 2002. 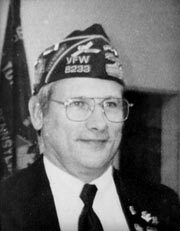 He also served as commander of the Mercer County Council of the VFW. He was instrumental in setting up the Mercer County Veterans Advisory Council and became its first commander. For the past five years, Bill has been running the Veterans Transport network through the Disabled Veterans Association. The network transports veterans free of charge from Hermitage to the VA hospitals in Butler, Pittsburgh, and Erie. 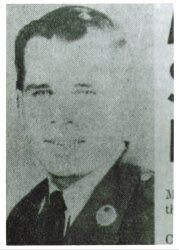 Captain Gary Lionel Vinas was the only Mercer County Vietnam fatality to serve in MACV – the Military Assistance Command, Vietnam. He was a member of Advisory Team 99 in Duc Lap, about 80 miles southwest of the 25th ARVN (Army of the Republic of Vietnam). Advisory Team 99 had the responsibility for advising the Division’s 49th Regiment. MACV advisers had a very specialized and tricky role. They were expected to use their American military experience and know-advise their Vietnamese counterparts about all aspects of their unit’s operation – to recommend solutions to everything from administrative problems to tactical and operational challenges. The tricky part was persuading the Vietnamese to implement the solutions they recommended. To be effective, the adviser had to befriend his counterpart and win his confidence. One of the most effective ways to do this was to convince his counterpart that the solution was really his own idea to start with. This was particularly important at the lowest level of the MACV operation. Regimental advisory teams were small, consisting of only three members of the United States military. They had to form very close and trusting relationships. To do that, they had to be willing to participate in every aspect of the regiment’s activities – including combat operations. Because of the decentralization of the MACV structure, it is difficult, if not impossible, to find out what happened in a specific time and place. We have no details about the death ofCaptain Vinas, other than the fact that he was on a combat operation with the regiment he was advising. All that was reported is that he was a ground casualty as a result of an explosive device, probably a land mine. 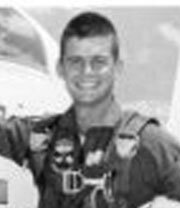 On November 29, 1970, Captain Cecil Gerald Moyer was piloting a C-123 aircraft that had just taken off from Cam Ranh Bay Air Force Base in Vietnam. Twelve miles south of the air base, the plane crashed in the jungle for undetermined reasons. The plane carried 32 Americans and 12 South Vietnamese. The Americans were officially listed as missing in action. When the plane was located on December 5, two non-commissioned officers were rescued from the wreckage . Further searches discovered the bodies of the remaining personnel. One of those was Captain Moyer. Another C-123 crashed in the same vicinity several days before. All 79 people on that plane were killed. Many years later, Captain Moyer’s wife, Sally, was serving as a Stephen Minister at Fort Sanders Regional Medical Center for many years. She came across an idea that inspired her: a portable chapel for use in patient rooms and family waiting areas throughout the hospital. At the chapel’s dedication ceremony, the hospital’s chaplain, Jeff Ryan, made an observation that is too often forgotten. He pointed out that if Captain Moyer and those who died with him had lived, they would be getting ready for retirement and enjoying their grandchildren. The Captain Moyer was born in Greenville to Mr. and Mrs. Cecil G. Moyer. He graduated from Greenville High School in 1963, and from Thiel College in 1967. He entered the Air Force in 1967, and was assigned to the 315th Airlift Wing in Vietnam. Charles Lenard Reefer went to school in Elderton, about half way between Kittanning and Indiana, PA. He left before graduating from high school. He tried to enlist in the Army, but he was turned down for medical reasons. He moved to Jamestown, PA, when he was 18, after his mother passed away. In Jamestown he lived with his sister, Martha McHenry, and worked at Steel Car in Greenville. There he received his draft notice. When he went in for his physical, he was found fit for military service. It seems as if draft quotas could cure a lot of medical shortcomings. 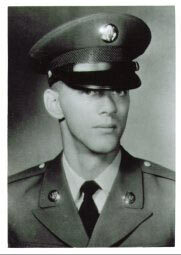 When Charlie arrived at A Company, 5th Battalion, 46th infantry in Quang Ngai Province, he may have been surprised to find Rodger McElhaney there, who lived just down the road from him in Jamestown, PA. Whatever delight he had in that ended on July 16, 1969, when PFC McElhaney was killed in action. Charlie himself outlived Rodger by only 23 days. He was killed by an explosive device on August 7, 1969. James A. Bailey of Grove City wasn’t satisfied with one military career. He actually served three. During the Vietnam War, body counts were reported almost daily, with Viet Cong casualties many times greater than American. For those whose loved ones were killed in the action, that was no consolation. During June, 1966, the 4th Cavalry, supported by the 2nd Battalion 28th Infantry, conducted search and destroy operations in Binh Long Province, along the border with Cambodia, directly north of Saigon. The mission was to eliminate the 271st, 272nd, and 273rd Regiments of the 9th Viet Cong Division to secure Highway 13 and protect the city of An Loc. On June 30, B Troop of the 1st Squadron 4th Cavalry Regiment was ambushed and severely damaged by the 271st VC Regiment. When the C troop and the 2nd Battalion 28th Infantry came in support, it turned into a three-day battle. By the time it was over, 270 Viet Cong soldiers were dead, compared with “only” 37 Americans. The only thing that mattered to Mercer County was that one of those 37 was the radio operator for the Executive Officer of Company C, 2/18 Infantry, 1st Infantry Division. His name was Sp4 David E. Baun. He had been in Vietnam since May 20, 1966. According to reports, Sp4 Baun distributed ammunition to the men of his unit with complete disregard for his own safety. He was killed while supervising the rescue of the wounded and the recovery of their equipment. He was posthumously awarded the Bronze Star with “V” device for valor, and the Purple Heart. David was the son of Mr. and Mrs. Wade E. Baun, Jackson Center RD2. He also left behind his wife, the former Pauline Werner, Easton, PA, whom he married April 23 a week before going to Vietnam. Video of battle with 2nd Battalion 28th Infantry in Binh Long province in 1971, which gives an idea of what Sp4 Baun experienced on the day he died. Dong Ap Bia is a mountain in Thua Thien Province, Vietnam, west south west of Hue, within range of North Vietnamese Army mortars positioned across the border in Laos. In military terminology, it was known as Hill 937, since it was 937 meters high. But it is best known as Hamburger Hill, largely due to a 1987 movie of that name. The movie focuses on the actions of the 3rd Battalion, 187th Infantry, of the 101st Airborne Division as it assaulted the hill, which was heavily defended by the North Vietnamese Army from interconnected trenchworks and bunkers. But that battalion was just one of three American army battalions and two battalions of the South Vietnamese Army to attack it, reinforced by an awesome accumulation of U.S. air power and artillery. One of the American units was the 101st Airborne’s 1st Battalion, 506th Infantry. David Garth Finnegan was a sergeant in that battalion’s A Company. The attack on Hill 937 developed during an attempt to clear the A Shau Valley of North Vietnamese elements. The valley was a vital link in the NVA’s resupply routes for men and materiel into the South. Before the battalions operation began, there was little reliable intelligence about the strengths and dispositions of the NVA. What they found on Hill 937 was a NVA elements solidly emplaced in an interconnected series of bunkers and entrenchments. The American commanders thought at first that it was defended by a company-sized force. When the 3/187th Infantry ‘s assaults from the south were repulsed time and time again, the 1/506th was sent to attack from the north. The American and South Vietnamese forces not only had to deal with the enemy, but also with the terrain and the weather. The steep hillsides turned to mud, making progress nearly impossible. It ended up taking ten days to reach the summit, in spite of 272 attack sorties by the Air Force, more than a million pounds of bombs, and 152,000 pounds of napalm. Up there they found more than 630 dead soldiers from two NVA battalions. Sgt. Finnegan was killed on May 18, 1969, two days before the American forces reached the summit – which was also barely a month before the American forces abandoned the hill and two months before the NVA reoccupied their fortifications there. Why is a question which must often remain unanswered.